Three of the country's most prominent animal welfare organizations - in what they are terming the most significant financial litigation in animal welfare history - have filed suit in New York's Surrogate Court to intervene in the matter of Leona Helmsley's $5 billion estate. The groups are seeking to force the Helmsley Trustees to follow Mrs. Helmsley's expressed intent to help dogs. According to the groups, less than $100,000 of the initial $136 million Helmsley grants have gone to dog welfare. "Mrs. Helmsley's Trust Agreement was clear: Help dogs. And the Trustees have not done this, and instead pursued their own agendas with Mrs. Helmsley's money," said Wayne Pacelle, president and CEO of The Humane Society of the United States. "Every person with a will or estate, and every charity that relies on bequest income, should be profoundly concerned about this misdirection of funds." The three organizations believe that State Attorneys General have a responsibility to protect the wishes of any heir or heiress, and also to protect the entire charitable sector from the whims of trustees who wish to ignore detailed and unambiguous estate planning instructions. In this case, New York Attorney General Andrew Cuomo failed in his charge to protect these interests. "Literally hundreds of millions of dollars that have been willed by people nationally, who cared about dogs, have not gone to provide for dogs as was intended," said Rich Avanzino, president of Maddie's Fund. "The ignoring of donor intent in this country has become an unspoken national shame. With $5 billion at stake this is a game changer. We want to work with the Helmsley trustees to arrive at a figure that is consistent with Mrs. Helmsley's intentions and would change injustices in dog care and welfare overnight. For instance, even a small fraction of this money makes it possible to virtually empty all animal shelters in America of dogs without homes." "There has been a sea change in recent years in how we treat animals and the Helmsley trustees don't understand that change," said Ed Sayres, president and CEO of the ASPCA. "Mrs. Helmsley understood the importance of animal welfare and was determined to help. She had a vision for her worldly estate to make our society a better place for dogs and animals, and consequently, people. We want that noble cause to go forward. Dogs give us so much in our lives, and the least we can do is make sure they are not harmed, exploited, or neglected, and the Helmsley estate allows us to do so. It is not an overstatement to say that the fate of dogs in this country could very well rest on the decision of this lawsuit." The trustees went to court last fall to invalidate Mrs. Helmsley's express wishes, asking the Court to declare that they "are not bound by the expression of Decedent's wishes...."
The Trustees disregarded Mrs. Helmsley's wishes and obtained court sanction for doing so. The process deprived the parties most affected by their decision - dog welfare charities - of any fair opportunity to have a say on the issue. Neither the Trustees nor the Attorney General contacted any of these three nonprofit organizations, which are widely recognized as the leading advocates for dog welfare in the country if not the world - or any other organization that might speak up on behalf of the charitable community that Mrs. Helmsley had a right to expect would receive "special emphasis" in the Trustees' grant-making. After a judicial ruling without hearing from the only charitable category of recipients specifically listed in Mrs. Helmsley's mission statement, the trustees distributed the initial round of grants from Mrs. Helmsley's trust, blatantly disregarding Mrs. Helmsley's express wishes. The trustees allocated less than .1 percent to dog welfare charities. "These three leading organizations tried to reach an amicable solution with the trustees; unfortunately, the trustees were unwilling to discuss this with us. Now these organizations are forced to resort to litigation to correct this abuse," Pacelle said. They have filed a motion to intervene and vacate the initial order. The Humane Society of the United States is the nation's largest animal protection organization - backed by 11 million Americans, or one of every 28. 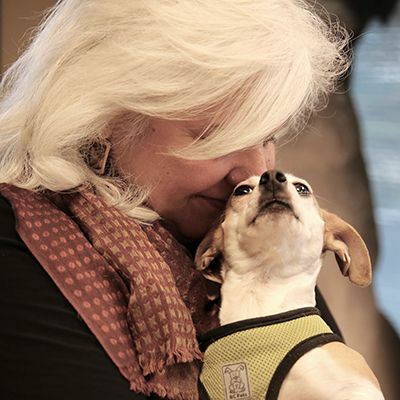 For more than a half-century, The HSUS has been fighting for the protection of all animals through advocacy, education and hands-on programs. Celebrating animals and confronting cruelty - On the Web at humanesociety.org. Founded in 1866, the ASPCA® (The American Society for the Prevention of Cruelty to Animals®) is the first humane organization established in the Americas and serves as the nation's leading voice for animal welfare. One million supporters strong, the ASPCA's mission is to provide effective means for the prevention of cruelty to animals throughout the United States. As a 501 [c]  not-for-profit corporation, the ASPCA is a national leader in the areas of anti-cruelty, community outreach and animal health services. The ASPCA, which is headquartered in New York City, offers a wide range of programs, including a mobile clinic outreach initiative, its own humane law enforcement team, and a groundbreaking veterinary forensics team and mobile animal CSI unit. For more information, please visit www.aspca.org.